Acadia National Park is the crown jewel among the eastern national parks and enjoys the support of the American public and of two unique organizations. Friends of Acadia has a 30-year record of advocacy, volunteerism, fundraising and grant-making, visitor experience protection, and transportation system development in support of Acadia National Park. 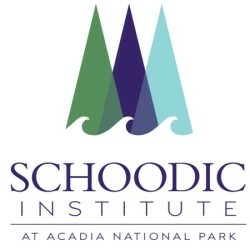 Schoodic Institute at Acadia National Park was created in 2004 to begin a Research Learning Center partnership at the Schoodic Education and Research Center campus. The Institute manages the campus and partners with Acadia and others on science and education initiatives throughout the park and region, with an emphasis on citizen science and supporting the park’s science priorities of understanding and responding to rapid environmental change. Statement of Partnership: Our two organizations share the common goal of helping create the brightest future for Acadia National Park, a philosophy that we can add value by working together and coordinating our efforts, and an understanding that the success of both organizations is in the best interest of Acadia and our region. Each organization respects the expertise and skills that the other has developed, and seeks to avoid duplication of efforts. The staffs and boards of Schoodic Institute and Friends of Acadia will communicate often to ensure the strongest possible future for Acadia National Park. 1. What are the missions of Friends of Acadia and Schoodic Institute? The mission of Friends of Acadia is to preserve, protect, and promote stewardship of the outstanding natural beauty, ecological vitality, and distinctive cultural resources of Acadia National Park and surrounding communities for the inspiration and enjoyment of current and future generations. The mission of Schoodic Institute at Acadia National Park is to guide present and future generations to greater understanding and respect for nature by providing research and learning opportunities through its outstanding Acadia National Park setting, unique coastal Maine facilities, and innovative partnership programs. 2. Are Friends of Acadia and Schoodic Institute affiliated with each other? Each organization is an independent 501c3 nonprofit, dependent for its success, at least in part, on philanthropic support from individuals and foundations. 3. Do contributions to either organization support the other? Although there are areas in which each organization’s work is relevant to the other, and some areas of direct partnership, in general, contributions to one organization do NOT directly support the other. Each contributes to Acadia and local communities in distinct ways, and each must raise its own operating budget. Friends of Acadia is a long-established grant-maker to Acadia National Park. Grants from Friends of Acadia may support Acadia National Park programs that occur in partnership between Acadia National Park and Schoodic Institute, or in certain instances, grants may be made directly to Schoodic Institute for such programs. 4. What are some areas where Friends of Acadia and Schoodic Institute work together? The primary areas of partnership are in our shared commitments to youth and to resource protection. Delineating roles for each of these areas and how we are working together – or separately on complementary projects – will help ensure efficiency for each organization, clarity for our donors, and the best end result for Acadia National Park. The Schoodic Education Adventure is Acadia’s signature multi-day residential education experience for middle school students. It is led by NPS educators in cooperation with Schoodic Institute. Schoodic Institute raises private funding to support the program, including a grant from L.L. Bean provided through Friends of Acadia. Teacher professional development: Schoodic Institute offers a wide array of teacher professional development opportunities in partnership with Acadia, University of Maine, and other partners. Programs include Acadia Learning, the Maine Physical Sciences Partnership, and AP Summer Teacher Institutes. Friends of Acadia partners with Acadia in development and funding of the Acadia Teacher Fellowship (formerly known as the Teacher-Ranger-Teacher Program). Some of the Teacher-Rangers are stationed at Schoodic, and partner with Schoodic Institute programs. Youth engagement: Both organizations hire interns directly, and Friends of Acadia supports youth employment initiatives of Acadia that are generally not directly connected to Schoodic Institute programs, such as the Acadia Youth Conservation Corps, Ridge Runners, and the Acadia Youth Technology Team. Science: Schoodic Institute is the primary partner to Acadia on science and research, including support for implementation of Acadia’s research program, and integration of science and education through a citizen science approach. Through its coordination with Acadia and other partners, Schoodic Institute helps to provide the scientific underpinnings for natural resource management project rationale, goals, design and evaluation. Volunteer participation in science: Friends of Acadia has a major role in supporting, encouraging, and providing volunteers in Acadia, in areas such as the trails and carriage roads, Wild Gardens of Acadia, and visitor engagement efforts. Schoodic Institute may partner with Friends of Acadia to engage certain volunteers in participating in citizen science projects that support Acadia science priorities. Project implementation: Friends of Acadia pursues funding and supports execution of natural resource management project implementation within the Wild Acadia initiative. Examples include invasive plant removal and water quality monitoring at Jordan Pond. Acadia has recently selected the Cromwell Brook watershed in Bar Harbor as a pilot system for watershed rehabilitation and natural resource management projects intended to improve ecosystem resilience. Schoodic Institute will collaborate with Friends of Acadia, the park, and other partners on science and citizen science monitoring projects associated with the initiative. Friends of Acadia is a facilitator and convenor for the Acadia Centennial Partners, a community-driven celebration of the Acadia Centennial in 2016. Schoodic Institute is a Centennial Partner that will have a leading role related to science.